40% - 70% Off on Branded Clothings..
KXIP- Set Of 2 Cotton Polo..
Flat 50% Off & Extra 45% Cashback on Jeans..
100% Cashback on IPL Merchandise..
Fitz Polyester Cotton Shorts For Men.. Pack of 2 VIP Punch Plain Trunk..
KOMNIL men's Cerulean Blue Half Sleeve Round Neck Cotton T-Shirt.. Final Clearance Sale : Top 10 Brands Flat 60-70% Off..
Puma, Woodland & more Upto 72% off discount sale..
Adidas, Puma & more Upto 74% off discount sale..
Top Brands Upto 94% off discount sale..
Peter England, Levi's... Upto 62% off discount sale..
Briefs, Vests & More Upto 81% off discount sale..
Wrangler, Peter England... Upto 56% off discount sale.. 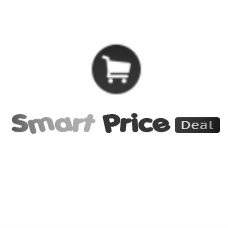 Shirts, T-Shirts... Upto 97% off discount sale..
Solly Jeans Co, Newport... Upto 65% off discount sale..
Peter England Upto 51% off discount sale..
Teesort Striped Men's Henley Red T-Shirt..